I spent nearly a year living and studying in The Netherlands, and am often asked for advice on what to see and do there. The Netherlands (often incorrectly called Holland) has a lot to see for such a small country, and it’s easy to navigate. It’s also a terrific gateway to Europe, because there are a large number of flights (including on low-cost carriers) into Schiphol airport. Although Dutch people speak their own language, they’re very linguistically versatile. Nearly everyone speaks excellent English (younger people especially so), and they usually also speak German. So, The Netherlands is a great first country to visit in Europe–or a great first country to visit in general. If you visit The Netherlands, you’ll probably end up on a boat at some point. Unfortunately, none of this is really a secret. The Netherlands is one of the most-visited countries in Europe, and for good reason: it’s home to some of its most famous museums and attractions. During the tourist season, The Netherlands is besieged by visitors, not only from North America and Europe but also from Asia. For a small country with only 14 million residents, the top attractions can become very crowded indeed. And for some reason, even though there is no shortage of places to visit in The Netherlands, everyone seems to flock to the same ones. As I sit in Weesp, having enjoyed an idyllic and beautiful fall Sunday in a picture postcard Dutch town with nary another visitor to be seen, I am amazed that more people don’t make it off the beaten path in The Netherlands. Haarlem, a very similar city, is besieged by throngs of tourists, the restaurants and shops charging inflated tourist prices. Meanwhile, I enjoyed a Belgian beer in a sunny sidewalk cafe for a mere €4.50 this afternoon, while watching the locals enjoy the day in their boats. It’s not just idyllic country towns that are great to visit when you go off the beaten path. Every weekend, planeloads of visitors descend on Schiphol and head straight for the Red Light district in Amsterdam. If you’re looking for a party, this is one place to go, but not the best place. Despite the marijuana and prostitution, it’s a pretty relaxed, organized and tame place. It’s really crowded though, with the high prices you would expect in a really popular area. Personally, I skip the Red Light District. As a guy with a fairly serious DJ hobby, I’m into electronic music, and the best music and parties are in the young, vibrant city of Utrecht. For half the price of an evening out in Amsterdam, you can see much better DJs and have a lot better time at an Utrecht dance party. It’s also a beautiful city, known as the “city of lights” in The Netherlands and famous for the elaborate light displays along its canals. 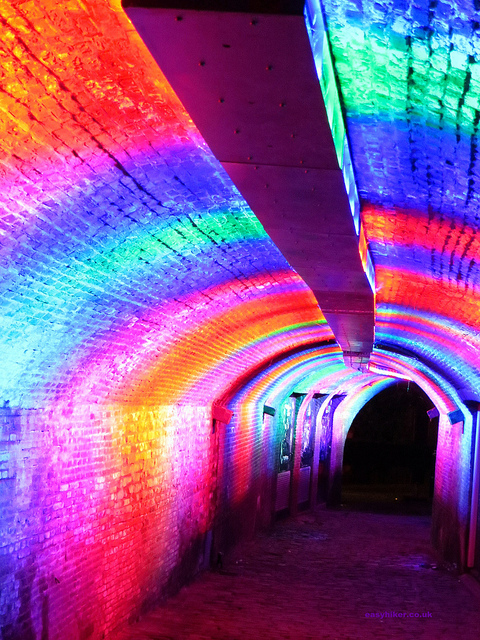 The party is at the end of this tunnel. How about art? Everyone knows about the famous Van Gogh Museum in Amsterdam. However, did you know that there’s an astonishingly large Van Gogh collection at a museum you have probably never heard of? I think the seldom-visited Kröller-Müller Museum in Gelderland is a lot better than the Van Gogh Museum, even though it’s less well-known. It also has an incredible sculpture garden. It’s best if you rent a car to get there, but if you do, you might just have the place to yourself. One reason that many people don’t venture far from the beaten path is the perceived complexity of public transportation. However, in reality, Dutch public transportation is one of the easiest systems to use in the world. It’s really only complicated if you’re trying to pay cash or use a non-European bank card. 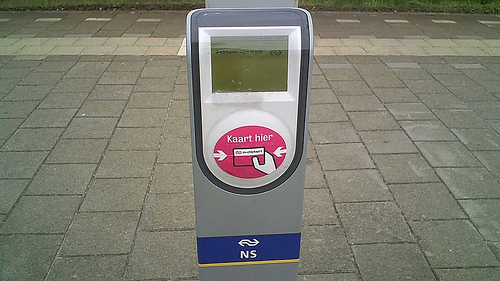 The Netherlands has a unified transportation payment system called the OV-Chipkaart. It works in literally every bus, train, subway and tram in the country. All of them, everywhere. You can buy one at the NS train ticket sales counter at Schiphol, and it will make your life incredibly easier. 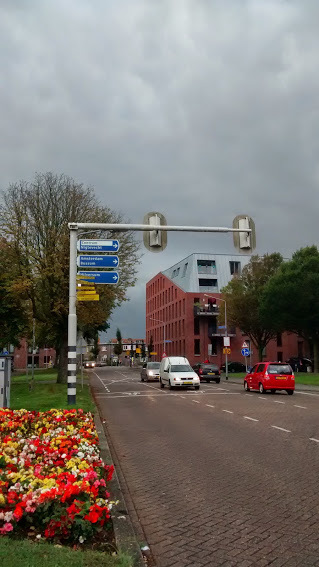 Public transportation is relatively expensive in The Netherlands, so 50 euro goes fast! Reloading is easy with cash or a credit card at any train station with a ticket counter. You can also reload your OV-Chipkaart at ticket machines, but this only works reliably with a European credit card with chip and PIN. Using the OV-Chipkaart is remarkably simple. Just scan it before (or as) you get into the bus, train, train or subway. When you leave, scan it again. You’re charged by distance, and the fares add up quickly. Transportation in The Netherlands is expensive! That’s why you see everyone riding a bicycle; you will pay to be lazy. Your account will need a minimum balance of 20 euro to board a NS Railways train (which is why it’s best to start with 50 euro on your card), but you usually don’t need any minimum balance to board a subway, tram or bus. It actually gets even better than this. You only need one way to plan travel in The Netherlands: either the Web site or smartphone app 9292. You can easily plan a trip between any two locations in the country and all methods of public transportation are covered. You can even find out the cost in advance. Content is all available in both English and Dutch. Yes, it really is this easy. The best way to search is by postal code, if you have it. Note that every single address in The Netherlands has its own unique postal code. The weather can change suddenly, even if it’s nice where you just were. Bring an umbrella! 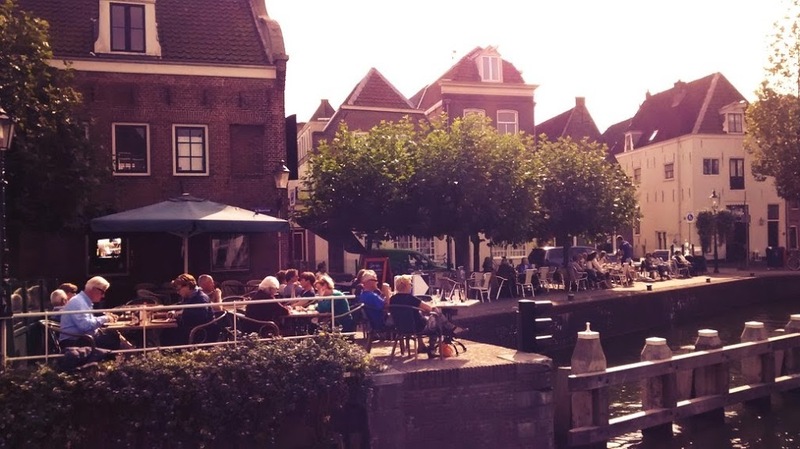 Are there more hidden gems in The Netherlands? Of course! 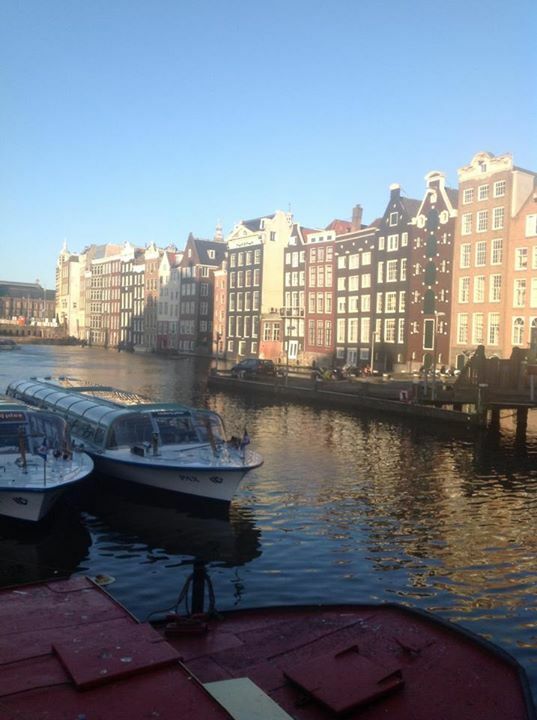 Some of my other favorite cities are Groningen, Maastricht and Den Haag (The Hague). Each has a very different personality. Groningen is famous for squatter dwellings, warehouse parties and graffiti art. Maastricht has winding cobblestone streets where you can find an absolutely perfect cup of fine Dutch Espresso, sipping slowly and watching the world go by. And Den Haag is a rabbit’s warren of serendipitous discoveries, with some of the most interesting and unique shops in the country. But I have really only scratched the surface. For such a small country, there is a lot to enjoy in The Netherlands. Take the train to a place you’ve never heard of, rent a bicycle (possible for a few euro at most train stations) and go explore! You might be amazed at what you find.